You’ve got to do tons if you are an app marketer – making sense of analytics and app growth, taking care of user onboarding and user experience. Clearly, the list is quite endless. All these tasks are time-consuming, and even with extra arms and brain cells, managing it all remains a challenge! With fierce competition in the app development arena, it is essential to be able to test, analyze and optimize an app throughout its life cycle. A mobile app requires meticulous planning (from install and beyond) and cannot function without the right tools. With plenty of tools to the rescue, the only challenge for app developers should be picking the right ones! We’ve eased that out by creating a repository of tools across the app marketing cycle so that you can focus on the most significant bit, which is – making your app shine brightly! User onboarding is the most important element for an app user. Walk-throughs set the pace for future interactions. They help users in understanding the flow of the app and the use of specific icons and swipe actions. Users may encounter the element of user onboarding at various levels from sign-up page to email confirmation or forgot password screen. In most cases, this should be intuitive for the user and easy to comprehend. Apps like IFTTT or Pocket for that matter are examples of apps with exceptional user onboarding. A glimpse into the app screen speaks volumes about the time invested in making it a memorable experience for app users. We highly recommend the beginners guide to mobile onboarding by Smashing Magazine for app developers who would want to imitate a similar experience for their users. Autosend.io– This tool provides avenues for an app marketer to send help emails, text and push notification, in case of drop-offs. Hipmob– Hipmob is a tool that can help your app user by offering them an In-app-live chat feature. This tool can also prevent early drop-offs, considering that a user’s feedback can be actioned immediately! This is key to an onboarding experience. Hipmob offers a solo, team and corporate pricing model. Appcues – Appcues helps app marketers in designing, creating and publishing an onboarding experience without any coding. 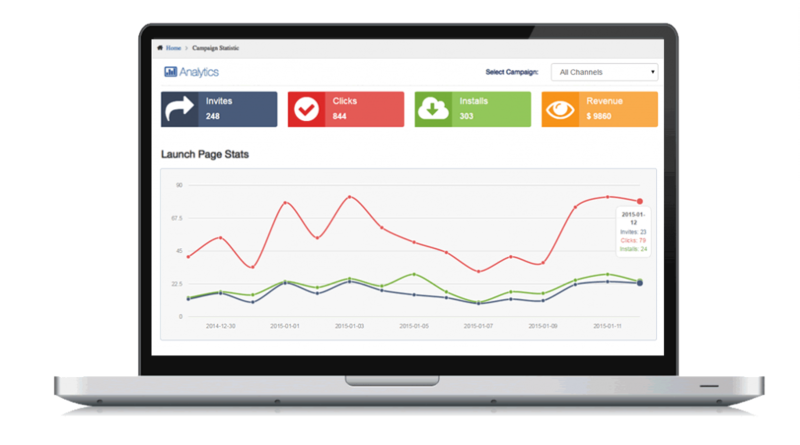 The platform can be synced with services like Mixpanel, Google Analytics, Hubspot, and Kissmetrics. Appcues offers a powerful segmentation platform to marketers as well. Though the product is only web oriented at the moment ( caters to mobile web browsers, HTML,etc.) it is beefing up for its mobile launch. Green or blue, Android or iOS? Questions like these are set in history. We always want to know what works best and the reasons behind it. A mobile app isn’t spared, thus. There are a whole lot of metrics that can be A/B tested and may vary from one app to another. A/B testing tools help an app developer with noteworthy data and provide inputs for improving retention, engagement and user onboarding for app users. The tools mentioned below offer both- paid and free versions and app developers can take their pick based on their budgets. With Splitforce, app marketers can test simple design elements like text and color, major design changes or other aspects without having to code. It also provides user segmentation, to be able to A/B test changes on different or specific segments. Apptimize is yet another A/B testing tool for mobile apps. It offers a fast installation process with its SDK. Apptimize aids marketers in turning any visual change into an A/B test and implementing it in real time. Just like its counterparts, Leanplum offers a whole lot of features for A/B testing. Their product suite includes cohort analysis, A/B testing using user attributes and flexible segmentation. Leanplum also provides automated insights via a dashboard. Helpshift offers a bouquet of features for an app marketer and is not just limited to feedback via in-app messages or push notification. This tool can also help users with in-app searchable FAQ’s with rich media, in-app notifications and can be customized in over 34 languages! Appsee provides a unique platform to garner user feedback through heat maps and user recordings. Another plus of the tool is its analytics dashboard that helps in analyzing user behavior. Appsee is a great tool for app marketers who need accurate information on how an app user is using their app and which screen is giving them the maximum traction. Instabug is yet another tool that can help app marketers with in-app feedback. Apart from this, it can help with information on analyzing bugs with a simple shake of the app! Instabug also provides notifications in case the app crashes. All in all, it can help marketers in providing a seamless experience to the user and a guaranteed five-star rating for the app! App Annie provides accurate estimates of the money made by an app, through its store intelligence feature. It also helps marketers in identifying growth models and making changes accordingly. It also aids marketers in validating investment opportunities. App Annie is a powerful tool in gathering market data and also offers analytics support for generic and mobile advertising. Mopapp’s platform provides specific information via its revenue analytics tools. Apart from this feature it also provides revenue forecasting for marketers. Here’s a look at what Mopapp can do for you! App Store Optimization is a huge topic in itself, and there’s a lot written about it. We really like the way the folks at Trademob have explained ASO for iOS and Android platforms. The prominence Of ASO is a big indicator that these strategies need to be backed up by worthy tools. Though there are numerous tools that have their fair share of success, the ones below remain to be the most popular choice for app marketers. Tune markets itself as “ the only unified mobile marketing console”. Every app marketer aims at providing the highest visibility to its app through paid, organic and owned campaigns. Tune helps such marketers in analyzing the best for their business and have many who swear by the product. Here’s a video that explains what Tune can do for you! Sensor Tower dabbles in app store optimization and app industry intelligence. It helps marketers with daily revenue reports, keyword selection, track competition and review performance. It also provides assistance with mobile ad optimization. AppCodes has an awesome set of features for an app marketer. It includes competitor tracking, SEO and keyword tracking amongst others. AppCode can also help in monitoring press mentions. 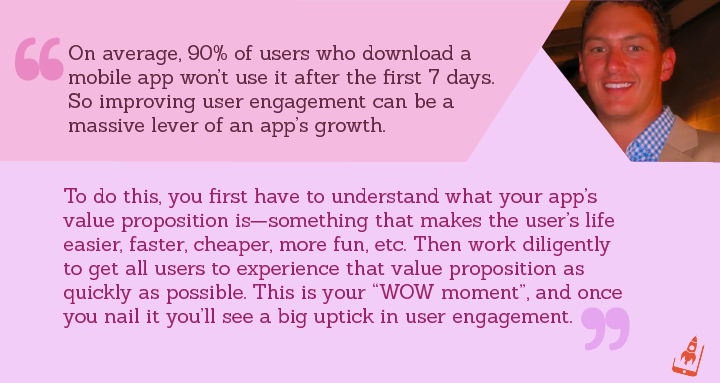 User acquisition is a big task for app marketers. That’s when ad networks can help in bringing more traffic and monetization through native ads. According to Google’s internal report, App developers using AdMob ad network optimization have seen a 15%–20% average increase in revenue. Admob helps you choose the right ad format and earn with customizable native ads. Etermax- a gaming company increased their downloads by using Admob’s native ads platform. This video gives us more insights into their success story. Airpush is yet another market leader when it comes to mobile advertising. It offers this feature for both Android and iOS platforms. Airpush provides a hyper targeting feature that is based on a user’s download history. Another unique feature of this tool is its Conversion Optimizer feature, that lets helps users in improving the performance of its mobile campaigns. I love the way Product Hunt newsletter emphasizes that ‘life is too short to do things the long way!’. Marketing automation tools for mobile apps helps marketers in concentrating on the most significant aspect of the business. These tools help in engaging the customers beyond the install with a truckload of features! Braze offers a plethora of features for app marketers. This includes engagement channels, both within and outside the app. Apart from a lot of individual features that are offered by the tools above, Braze also provides analytics, conversion tracking of marketing campaigns and specific retargeting campaigns. Just like Braze, Swrve also offers a variety of features for mobile app marketers to play with! This all-in-one product offers In-app campaigns, analytics, data segmentation and push messaging amongst other features. Swrve also offers a unique platform called predictive analysis for game developers. Urban Airship is at a peak when it comes to mobile app automation. The wide spectrum of features has ensured that an app marker does not have to look outside! From push notifications to in-app messages, from deep linking to user segmentation, Urban Airship has got it sorted for a busy app marketer. WebEngage is a full-stack Marketing Cloud platform custom-built to supercharge user retention. With their ‘Journeys‘ feature, brands can enable personalized one-to-one marketing at scale by mapping out a users entire brand lifecycle. Create trigger based intelligent engagement campaigns and communicate with users via Email, SMS, Mobile + Web Push, In-app + Web Messages with an easy to use interface. 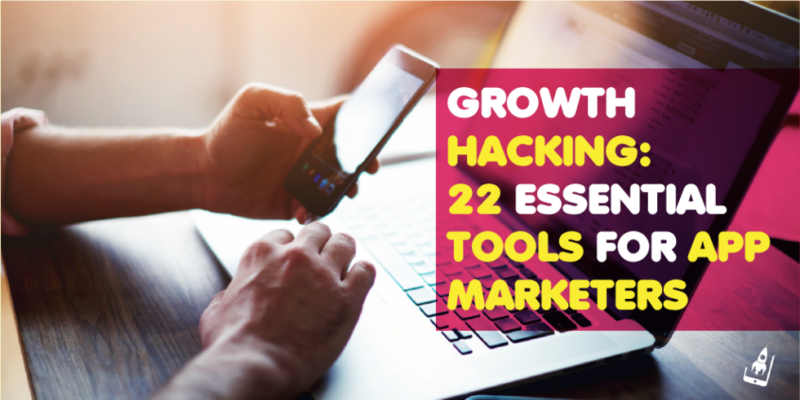 Last but not the least, a glimpse into a few tools that can help you growth hack your mobile app. With these tools, you can nail factors that excite your users the most. Yep, that’s us! AppVirality offers app developers a unique approach in increasing app downloads, through In-app referrals. Referral marketing and its advantages have been discussed by us over and over again and given its acceptability it is a great feature to grow your app. AppVirality offers a unique dashboard to its users to track downloads from these referrals. App marketers can track metrics like installs, invites, revenue and clicks and at the same time offer an element of personalization in its onboarding to increase sign up and sales. Every app marketer wants to be the king of app stores. Tools like Appbot helps in driving that for app marketers through by taking the pain out of the process! Appbot helps in visualizing user sentiments with flexible app review reporting. Appbot can be integrated with major platforms like Salesforce, Zendesk, Trello and others. There are numerous other tools that cater to other aspects of app business, but we’ve made an attempt to list the ones that are popular and effective. Developing an app that is perfect in all respect requires time and there are no two ways about it. Tools like the ones mentioned above can take the load off and simplify things for app marketers. Have I missed a tool that you fancy? Do let us know in the comments below! I’m currently looking for free app marketing tools I can use to promote my apps. Although most in the list are paid, it still rock! Great article for app marketers. We are glad you liked it Carl!